When you are ready to start something new, like a diet, new fitness program or decluttering project, it’s nice to have a support system and loose plan to get started. I say loose plan, because if the rules are too rigid, you might feel like you failed before you really started. Stay focused on the process instead of the destination. 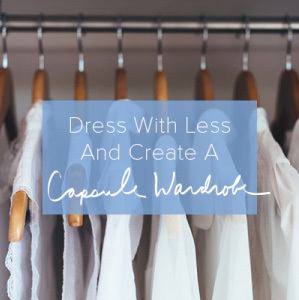 If you are ready to tackle your closet, empty your garage, go completely clutterfree or simply empty your junk drawer, these resources can help. You don’t have to read them all before you get started, and it really doesn’t matter which one you pick. Simply start somewhere, take action and then come back for more inspiration and motivation if you need it. A Minimalist Guide to Baby Essentials, from The Minimalist Mom. I Don’t Know Room from the Minimalist Couple. 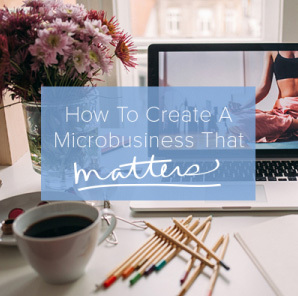 A blog post or article can inspire quick action. The benefit of a longer course is that it gives you the time and permission to go deep and better understand why you have clutter in the first place. That can help break the cycle completely. Simple Year: Designed to help simplify your life. You’ll learn something new each month and focus on what matters most with a simplicity author that specializes in topics like travel, food, money, relationships and work. If you like to read, these books can inspire you and give you simple steps to live with less. The Joy of Less Ready to sweep away the clutter? Just open this book, and you’ll be on your way to a simpler, more streamlined, and more serene life. Simplify This is a book that calls for the end of living lives seeking and accumulating more and more possessions by highlighting the enjoyment of living with less. Clutterfree Clutterfree is about creating more time and space by eliminating the clutter in your home and life. By understanding why you have so much stuff, you can start to let it go and enjoy the best that life has to offer. I’m Fine Thanks This documentary isn’t specifically about decluttering, but it will help you realize that a happy life has very little to do with what you own. The Story of Stuff a 20-minute, fast-paced, fact-filled look at the underside of our production and consumption patterns. The Story of Stuff exposes the connections between a huge number of environmental and social issues, and calls us together to create a more sustainable and just world. It will change the way you look at stuff. If you are on Twitter, make sure to follow these simple living inspirations. If you don’t do Twitter, but are curious, this might help: The Simplicity of Twitter. Colleen Madsen – Follow her here: @365lessthings Recent tweet to inspire decluttering: Deliver a load of decluttered but still useful items to a charity of your choice. Joshua Becker: – Follow him here: @Joshua_Becker Recent tweet to inspire decluttering: Correctly applied, minimalism is more than an outward journey focused on possessions. It is an inward journey of exploration and discovery. Dana McCallian Byers: Follow her here: @Danalbyers Recent tweet to inspire decluttering: Having fewer clothes can relieve stress in your kids’ life. Dave Bruno: Follow him here: @guynameddave Recent tweet to inspire simplicity: Voids aren’t satisfying. Simplicity isn’t about staying empty. Simplicity creates space for the right stuff. Marc and Angel: Follow them here @marcandangel. Recent tweet to inspire action: The difference between who you are and who you want to be, is what you do today. 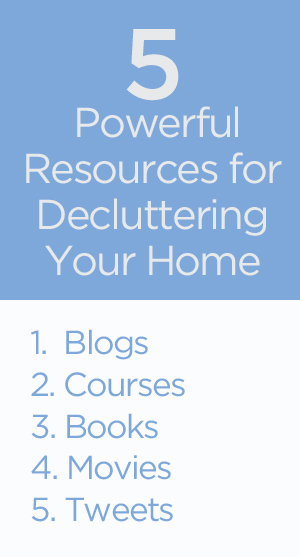 These are just a fraction of the awesome resources available to start your next decluttering project. Remember, it doesn’t matter where you start, as long as you start. Find a few of these resources that support your decluttering efforts. It helps to know that you are not alone when faced with the struggle of what to keep and what to sell or give away. Hi Courtney, I always appreciate these resources. I really liked I Don’t Know Room (Minimalist Couple) and Story of Stuff. Story of Stuff really helped me change my views on work and consuming! Thank you! Super basket of resources for us to savor! Thanks! Thank you for this treasure trove of inspiration! I also like Colleen Madsen’s blog, 365 less things. The content and comments are both helpful. Awesome list of resources!! Plenty there for beginners to advanced! Excellent resources and post, Courtney. The Story of Stuff may very well stick with me for the rest of my life, unlike most things, for its cleverness, frankness and clarity. It’s a must for all thinking people. It all but sums up the vast quantity of posts online having to do with the subject in those 20 minutes. Courtney, I think I found your blog a few months ago, but have just recently rediscovered it and am now working through your archives. I am currently going through the declutter stage (at least 50% is going) with the intent of downsizing from my condo in the suburbs to an apartment in the city in a couple of years when my daughter graduates high school and moves on to University. So you are a few years ahead of me and it is great to read your experiences! Thanks for all of the helpful information. Really great resources–I know a few myself! Thank you! Right up my alley. 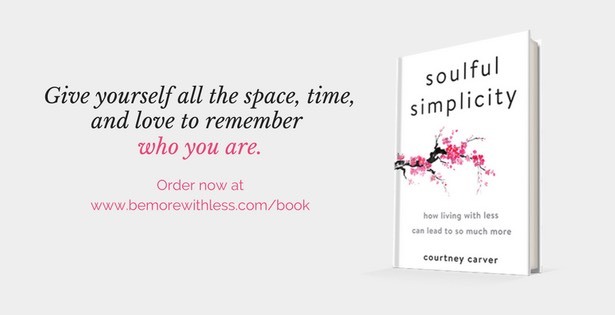 Courtney, I also have a site that offers some information on decluttering your life and gaining more peace at lifefreeandclear.com. Love your site and content! Thanks for sharing, it has certainly inspired me to continue my journey of decluttering.